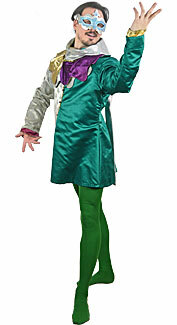 A deluxe-quality, decorative red and green jester costume. 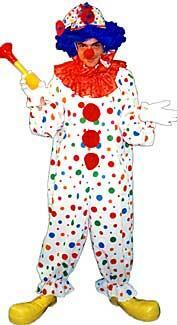 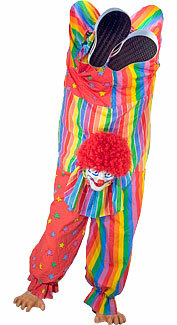 A bright clown costume that gives the illusion that the clown is walking on his hands. 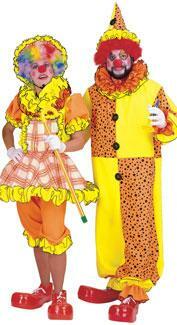 An orange and white dress, pinafore, and knickers for the female; and a yellow, orange, and black polka-dotted jumpsuit for the male. 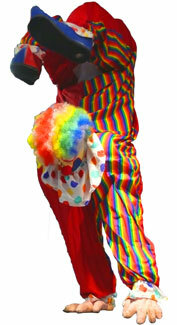 A white clown jumpsuit with multi-colored polka dots, with a matching hat. 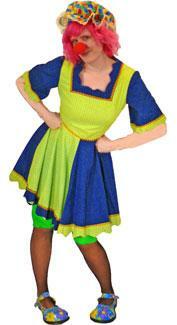 A yellow, green, and blue checker-print dress with matching bloomers and a brightly colored cap. 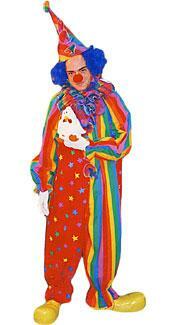 A half-rainbow, half-star print jumpsuit with a matching hat. 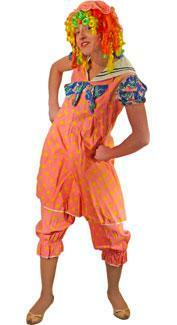 A light pink sailor-style dress with yellow polka dots, with matching bloomers and cap. 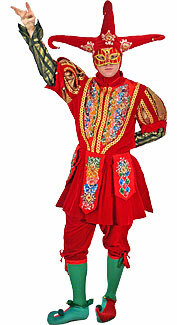 A brightly-colored motley-patterned jester costume. 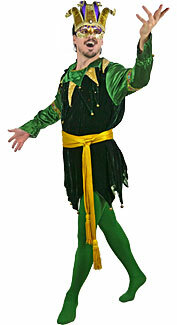 A jester costume with a green tunic. 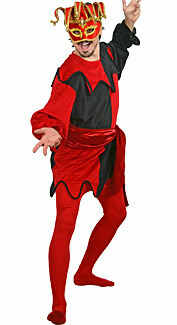 A jester costume with a red and black tunic. 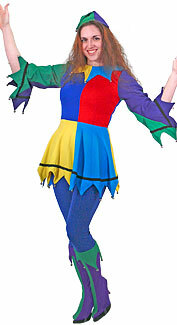 A jester costume with a multi-colored tunic. 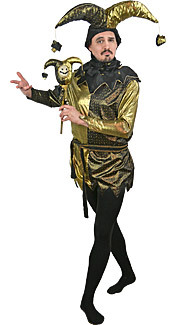 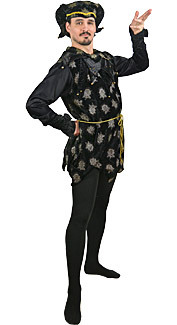 A jester costume with a black and gold tunic.